I can't believe Independence Day is coming up already! Here are some ideas for kid-friendly July 4th activities in the Bay Area. 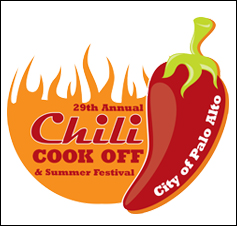 Palo Alto Summer Festival & Chili Cook-off - with live music, line dancing, food vendors and kids' activities, you can plan an afternoon of fun. Free admission, and a nominal fee for "tasting kits" for the cook-off. The festival runs noon to 5 p.m., with the chili tastings starting at 1:30 p.m. Mitchell Park, 600 E. Meadow Drive. Pier 39 in San Francisco is always good for a party. Head over there from 3 - 9:30 p.m. for free live music, street performers, and ultimately, the fireworks! The Fillmore Jazz Festival runs July 3-4 from 10 a.m. to 6 p.m. on Fillmore Street between Jackson and Eddy in SF. Three stages feature jazz groups, plus you'll find cooking demonstrations and art vendors. Plus food! If you live in the South Bay, head to the America Festival in San Jose, July 3-4. There you'll celebrate the many diverse cultures that make up this great country. You'll find three stages of musical entertainment and cultural performances, fantastic ethnic foods, arts and crafts, and lots of activities for all ages. Plus, fireworks on July 4th. Hours are noon to 10 p.m. on July 3rd, and 11 a.m. to 10 p.m. on July 4. Location: River Park's Discovery Meadow, San Jose. Marin County Fair - what's more American than the Preservation Jazz Hall Band? Hear them at the Marin County Fair on July 4th. FYI - the Four Tops and the Temptations play at the fair on July 5th. The fair runs July 1-5, and kids 12 and under get in free on July 1. Click here for the fair schedule. While every day is a good day to go to the fair, if you do go on the 4th, you can enjoy pig races, a lion dance, learn how to grow healthy vegetables (kids will love that one), Kenya safari acrobats, mule driving, goat milking, pie contest, Hawaiian music and fireworks (they have fireworks nightly). Gilroy Gardens - If you or someone you know is in the military, police force or fire department, that person can get in free until July 5th at Gilroy Gardens. Plus up to 6 people with that special person will get $20 off admmission. If you go on July 4th, Gilroy Gardens is hosting a Independence Day BBQ (separate cost). San Francisco Symphony - join the SF Symphony for July 4th concert and fireworks at Shoreline Amphitheather in Mountain View. The concert starts at 8 p.m. with popular music, then patriotic and march songs coordinated with the fireworks. Need more ideas? 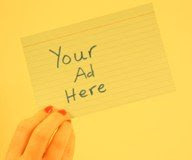 Check out PlayPlanIt - they have a huge list online for the entire Bay Area. Frisco Kids is on Facebook!